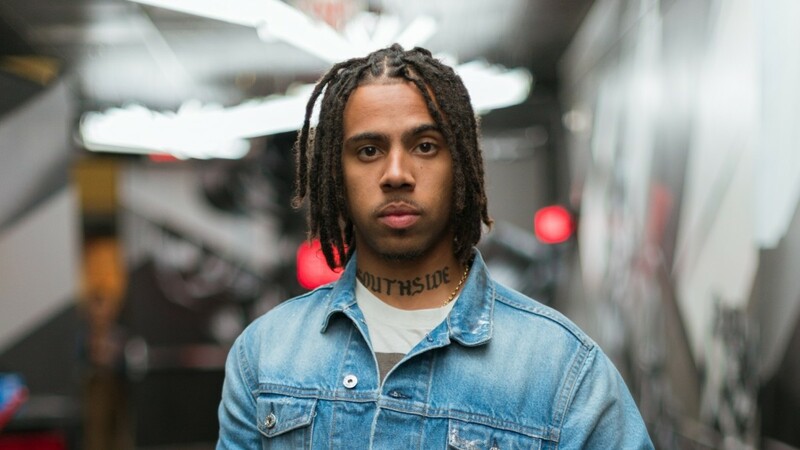 You'd be forgiven to assume that with a title like The Autobiography, ambiguous and over-arching, Vic Mensa's debut album would have been subject to some creative license. But the rapper insists, with a laugh, "I didn't change any facts." Serving as a candid coming-of-age narrative that's sure to challenge your comfort, Mensa finds himself confronting death, depression, drugs, hometown violence, strained relationships, and more. It's weighted material to be handled with caution, but the executive production from No I.D., who Mensa calls a "genius," keeps the sound triumphant. Supported by guests like Ty Dolla $ign, The-Dream, Weezer, fellow Chicagoans Chief Keef and Joey Purp, and Pharrell—whose collaboration ("Wings") Mensa calls the recording process' "turning point for me"—Mensa takes center stage as the most captivating storyteller. He visited REVOLT TV to detail the project. Watch the interview, read excerpts, and listen to the album below. ON WORKING WITH PHARRELL: Pharrell gets in the studio very early in the morning. Real talk. Like, Pharrell is one of the few OG producers that's been in it for a long time that I've met that is really, really still making beats like he's in a basement, like just really working. But Pharrell is just one of my biggest influences and inspirations, so it was brilliant being in the studio with him and also being able to make something that drew influence from N.E.R.D. and classic 'Pharrell' chord voicing. Pharrell made me feel like it was okay to be a skateboarder and into rock-and-roll in a Black neighborhood growing up. Pharrell was one of those people that validated that for me. ON TACKLING TABOO TOPICS: I'm talking about things that a lot of people maybe don't feel empowered to talk about. Mental health is something that we don't speak about in the Black community, it's something we don't really speak about in hip-hop and everybody's dealing with things and you mention 'psychiatrist' or 'therapist' and people are like 'I'm not crazy!' but, honestly, we all crazy and the first step is recognizing that everybody's different, everybody has their problems and it's not bad to seek help. ON SAMPLING WEEZER: My favorite sample on the album is from a beat I made for my favorite song on the album, it's called "Homewrecker." I sample Weezer, "The Good Life." I love Weezer. I've been a big Weezer fan since I was a kid and Papi Beatz was playing Pinkerton for me driving down Franklin [Avenue] a while back and I heard that loop and I was like, 'Oh that's it!' So I went back and I chopped it up and I made it a beat and did a song over it that I didn't use—it was really, really emo—and then the situation happened and my girl at the time, or ex at the time, came and did what she did and then I made the song "Homewrecker" over that beat I made. ON HIS HOPES FOR THE AUTOBIOGRAPHY: I want to, first of all, be understood—as much as anybody can. And be accepted for my growth and my path. And also maybe give a voice to some people that don't have the power, platform, or think they have the courage to confront what they see around them and what they see in themselves. A lot of the time, kids hit me up and they tell me, 'your music got me through a dark time' or 'kept me from committing suicide' and I like to make music that can speak to those people and hopefully give them something to believe in.